First of all I would like to apologise to anyone who hasn't received an answer to their email this last week, and promise that I will get back to you over the next few days. I've recently become overwhelmed with support requests and found it impossible to keep up to date. As a result I'm afraid I've been forced to make decisions about the level of free support that I am able to provide. I've been so busy sorting out users individual problems that I haven't had enough time to do other work and make posts, or keep the web site updated. 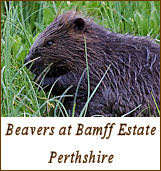 As a result I will in future, only be able to offer free technical support to customers of this web site and Wildlife & Countryside Services. I suppose I have become a victim of my own success and I regret that I'm having to make these restrictions; but from now on I will only be providing free help and technical support within the camera's warranty period to our own customers. still get help but you will need to follow the procedure laid out on my Technical Support page and purchase a 10.00 GBP Service Voucher. 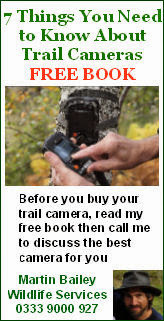 Most of the answers to issues you may have with the use of these cameras can be found somewhere in these pages and there is a full list of camera related posts on the Blog Index page. Camera Serial Number: Found on the white bar code label on the back of the camera and will look something like 106019441. They are all a nine digit sequence. 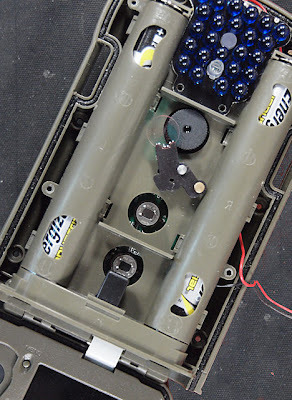 5210A cameras start 106. 5210MG cameras start 201. 6210MC/MM cameras start 109. 6210MG cameras start 202. Firmware Version: Read this post to see how to find this. 5210 firmware will look like V1.06. 6210 firmware will look like V1.1.006U. Where Purchased: Name of seller from whom you originally bought the camera. Date Purchased: If your request is to correct a blocked password problem you will also need to provide an invoice as proof of purchase. A Brief Description of the Problem: I will need to know the history of the problem and if you think it may help you can include an image. Land Line Number if possible. See below. Or request a Skype contact. When you have started an email request can you please reply within the thread so that I can refer to previous emails when answering. 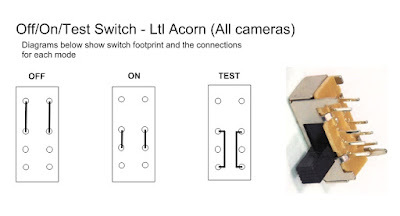 When a faulty camera is returned under warranty it must be sent back to your supplier. 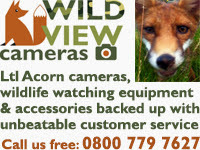 We cannot accept a camera return unless it was purchased through this web site or Wildlife & Countryside Services. Please consider this when choosing a supplier. You can always try to call me on Skype or +44 (0) 1456 415726 although I can't guarantee to answer on every occasion, and I will only call back to a phone if you have purchased a call back voucher from the Technical Support page. Once again I regret having to make these changes and I'm sorry for any disappointment; but I can't continue to support the time and costs involved in any other way.